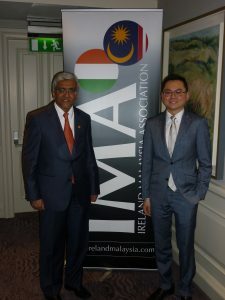 On behalf of IMA members, Chairman Vincent Teo formally welcomes the new Ambassador of Malaysia to the Republic of Ireland H.E. Ambassador Dato’ Syed Sultan Idris. We are delighted to announce that H.E. Ambassador Dato’ Syed Sultan Idris is IMA’s newly anointed Honorary Patron, succeeding our outgoing Patron Dato’ Ramli Naam. H.E. Ambassador Dato’ Syed Sultan Idris has held a number of senior roles within the Department of Foreign Affairs including Director in the ASEAN Department and Principal Assistant Secretary of the Southeast Asia Division. This is his third Ambassador role, having previously worked as Ambassador to Finland and Bahrain. Ambassador Dato’ Syed Sultan Idris is joined by his wife Datin Zarinah Hussin and their four children to Ireland. The IMA has enjoyed strong support from the Embassy since its foundation and look forward to continuing this important partnership. 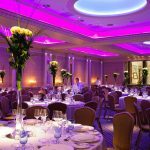 To honour his official appointment, the IMA will host an event on 5th of March 2015 to formally introduce our new Honorary Patron to our members. Details of the event will follow shortly.